Despite North Dakota’s restrictive laws concerning commercial gambling, those living in and visiting the state have some fairly robust options to partake in. Thanks to tribal gambling filling in the gaps that existing states with legal online gambling left in the industry, players will have a variety of options to choose from. The few state approved forms of gambling that exist in North Dakota, which basically only include lottery draw games, pari-mutuel wagering and charitable gambling, are wrought with restrictions. This page of our website was created to provide insight into the status of legal gambling in North Dakota. We take a close look at the gambling laws in North Dakota, as well as what types of state licensed options are available to players. We cover both land based brick and mortar gambling destinations as well as legal online gambling entertainment options. It is our desire that this guide provides you with everything you need for making an informed decision about your level of involvement with gambling entertainment. It is not our job to talk you into or out of anything gambling related, but rather to just put the facts out on the table and let individuals make informed decisions about what is best for them in their particular situations. We do not intend for this information to serve as or substitute for professional legal advice or services. We are not attorneys and are not attempting to provide legal services through this website. Everything contained on this page is for informational purposes only. In general, the state is harder on those individuals who provide illegal gambling services than they are on those who partake of it. That being the case, most gambling laws are directed to the owner operators of gambling entertainment businesses. There are no laws that specifically address online gambling. However, the broad definitions pertaining to gambling devices contained in North Dakota’s gambling laws could be selectively interpreted to include devices used in online gambling. This has not happened thus far, with absolutely no arrests or investigations of participants in online gambling entertainment in North Dakota. However, we are obligated to point out that just because they haven’t doesn’t guarantee that they won’t. It is within the realm of far off possibilities that those engaged in online gambling could theoretically be approached by law enforcement with illegal gambling charges based on the very broad definitions within the state’s existing gambling laws. Is it likely? Not even remotely likely. Is it possible? It is remotely possible should the state decide to invest a tremendous amount of money and resources in going after online gamblers who are committing violations that are barely considered a misdemeanor. We really don’t’ see it happening, and it has not happened so far. Without stretching the definitions found in North Dakota’s gambling laws to include online gambling, there are no provisions that prohibit ND residents and visitors from participating in online gambling. However, in order to place bets legally in the US, these destinations must be legitimately licensed, regulated and located offshore within a governing jurisdiction that has expressly legalized online gambling of some form within their region. The gambling sites found in this guide represent legally sanctioned internet betting sites that are legitimately licensed and regulated offshore. Most experts agree that playing at these types of legal betting sites does not violate state or federal laws. This has been our experience and based on the fact that the state has never pursued charging anyone with online gambling, we are pretty confident in this conclusion. Instead of going after online gamblers, what the state will likely do at some point is compete with the existing offshore gambling sites that have captivated online gamblers in the state. By legalizing state licensed online gambling in North Dakota, players would have the option of spending their money at home, supporting their local economy. An effort was made in 2005 to legalize online poker in the state, however it was killed in the State Senate. Since that time, no other pieces of legislation designed to legalize any form of online gambling have been brought forward in the Peace Garden State. No, there is not any movement at this time to legalize online gambling of any form. However, with more and more states getting on board the state regulated online gambling train, ND could end up getting pressured by the state’s population to get on board. If you live in North Dakota and are looking for a legal online gambling site, then Bovada is an excellent choice. They are licensed and regulated and are truly one of the industry's gems when it comes to trust and treating players fairly. 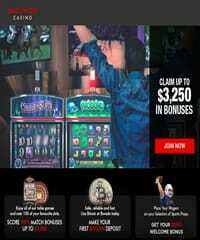 Players love Bovada because they offer sports betting, real money casino games and horse betting all under one account. So whatever you're in the mood for, they've got you covered. And because you are playing with the largest and most reputable site, you don't have to worry about getting paid or getting good support. They come correct on every front. Is It Legal To Play Online Casino Games For Real Money In North Dakota? If we were talking state licensed online casinos, then we’d have to say no. It is not legal to own or operate an online casino in North Dakota. State regulated online casinos are out of the question for the time being. The good news is that it is not illegal to participate in online casino gaming from a legally licensed and regulated online casino that is based offshore, outside of US borders. The online casinos listed on this page are regulated offshore, and have been vetted by our team of professionals. We have verified that each brand is licensed and compliance certified, and offers a premium online casino gaming performance. The following is a list of the the best legal online casinos that are open to players from North Dakota. These sites have been thoroughly vetted by our team and we guarantee they hands down the most reputable. You can read some of the reviews to learn more about each site and why we feel they are excellent choices for US players. Is Online Sports Betting Legal In ND? State based online sports betting is not legal anywhere in the US. As mentioned above, the Federal Wire Act prohibits US based online sportsbook gambling throughout the nation. The good news is that this law does not prevent offshore online sportsbooks that are operating legally within the industry from offering their services to bettors in the US. It also does not prohibit US bettors from placing bets online at these types of betting destinations. You can learn more about these options in our legal online sports betting section of our site. You will find a listing of the industry’s top online sportsbooks on this page. They were all reviewed and approved by our team of analysts and were found to offer a high quality, secure and legally sanctioned online betting experience. Again, if we were talking state licensed online poker, then the answer is no, it is not yet legal in the state. However, we have found a handful of high quality, secure and legally licensed online poker sites that are based offshore in an international jurisdiction that has legalized online poker already. This allows them to legally offer their betting services to players around the world, including those living in and visiting North Dakota. You will not be violating any state or federal gambling laws by participating in online poker games or tournaments at these types of legitimately licensed offshore poker sites. The minimum legal gambling age that applies for North Dakota varies depending on what type of gambling is in question. Charitable gambling does not have a minimum age associated with it. Pari-mutuel wagering and lottery games require players to be at least 18 years of age in order to participate. Land based poker and casino gambling require players to be at least 21 years old in order to legally participate. Most online gambling sites allow players to gamble at the age of 18 and up. Can I Get Arrested And Go To Jail For Gambling Online In ND? We are not lawyers, so we recommend you talk to a gaming attorney for this sort of information. Our opinion on the matter is that they can't arrest you for breaking a law that isn't on the books. What Types Of Gambling That Are Legal in North Dakota? Casino Gambling – Multiple tribal casinos operate in North Dakota, offering Class III games that include slots, poker and table games. Non-tribal commercial casinos are not legal in North Dakota. Some table games are permitted with charitable gambling if applicable licensing is secured. Online Casino Gambling – There are not any state regulated online casinos operating in North Dakota. There are a number of legally licensed and regulated offshore online casinos that accept player from North Dakota. These online casinos can legally offer their services to players in the US because they are regulated within a jurisdiction that has already legalized online casino gambling for their region. Poker – Live poker games are available from the card rooms located at the various tribal casinos in the state. Poker tournaments are also approved for charitable gambling events with applicable licensing. Poker games associated with charitable gambling do have additional restrictions and betting limits that do not apply to tribal card rooms. Home poker games are legal as long as the betting limit maximum of $25 per hand is adhered to. Online Poker – With no state regulated online poker options available in North Dakota, online poker sites that are licensed, regulated and located offshore are the best option for ND residents seeking legally sanctioned online poker gambling. The online poker sites you see in this guide all fall into this category. As long as you limit your online poker action to legally licensed and regulated offshore poker sites, you will not be in violation of state or federal laws. Sports Betting – North Dakota is not one of the four state that is exempted from the Professional and Amateur Sports Protection Act. This law governs sportsbook gambling in the US, and only allows this type of betting in Nevada, Delaware, Montana and Oregon. This federal law prohibits individual states from established state regulated sports betting businesses. Online Sports Betting – There are not any states in the US that can legally offer online sports betting options. The Federal Wire Act bans US based online sportsbook gambling across the nation, and effectively prohibits states from licensing bookmakers to provide betting services. There are offshore online sportsbooks that accept players from the US without violating this law. The Federal Wire Act does not prohibit US bettors from engaging in online sports betting at legally licensed and regulated offshore bookmakers. Pari-mutuel Wagering – Betting on horse racing is legal under the charitable gambling category. Betting is legal for live events, and can be done remotely. For expanding options, North Dakota residents can participate in legally sanctioned pari-mutuel wagering from licensed and regulated sportsbooks that are located offshore and that accept players from North Dakota. Bingo Gaming – Bingo is approved legally in North Dakota under charitable gambling regulations. Tribal gambling businesses are also interested in offering high stakes bingo gaming, a gambling initiative that is being fought by the state in an effort to monopolize bingo as a charitable gambling platform only. Online bingo games can be played at any of the licensed bingo sites featured in this website. Lottery – North Dakota offers a state licensed draw game and participate in a variety of interstate draw games. 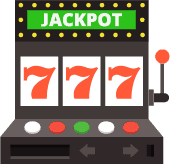 Online lottery ticket purchase are not available through state licensed agents, however licensed offshore lottery agents offer online ticket purchase opportunities for both US based and international lottery games. You will find access to these types of agents from our legal online lottery portal. Will North Dakota Legalize Online Gambling in the Future? We do believe they will eventually get on board with state based online betting, but not necessarily that they will legalize any form of it in the near future. We think it may be years before you see anyone else attempt to bring forward legislation for online poker or casino gambling.